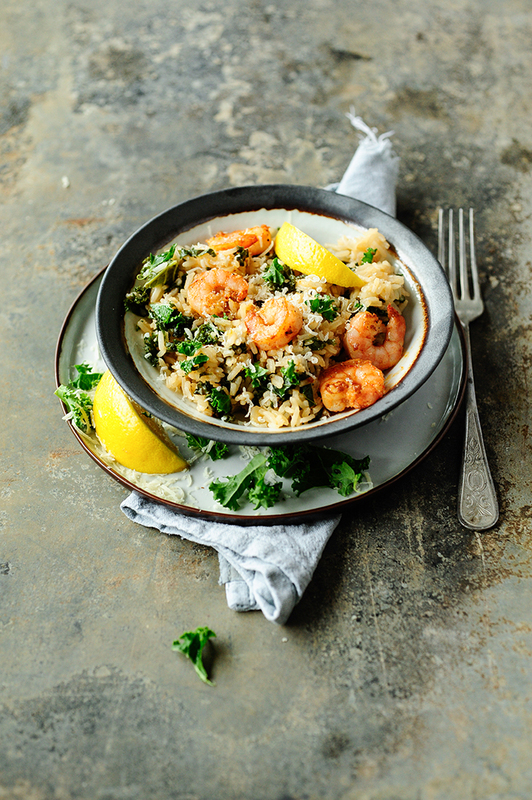 Creamy risotto with kale and shrimps. 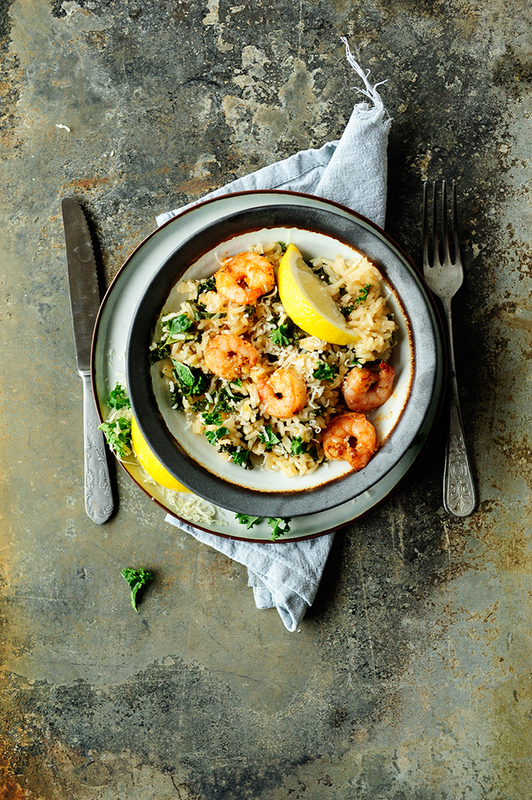 The kale pairs great with this Italian dish and the shrimps add more character. It’s healthy, cozy and extremely tasty! Rinse kale under running water, remove stems and cut into strips. Heat the oil in a deep frying pan, sauté the shallots and garlic over medium heat. Add the rice and stir for a minute. Then add the kale and pour the white wine, cook for 2 minutes. Now add one ladle hot broth, mix and cook until the broth is absorbed into the rice. Repeat this for about 20 minutes until the rice is tender. Turn off the heat, add the parmesan and a tablespoon of butter, season with salt and pepper. Stir, cover and let stand for 5 minutes. Peel and devein the shrimps. Fry in a hot pan with butter, for a minute on each side. Season with salt and pepper and stir with the risotto. Serve immediately with lemon quarters. Enjoy!